Knocknagree SE Top is the 755th highest place in Ireland. 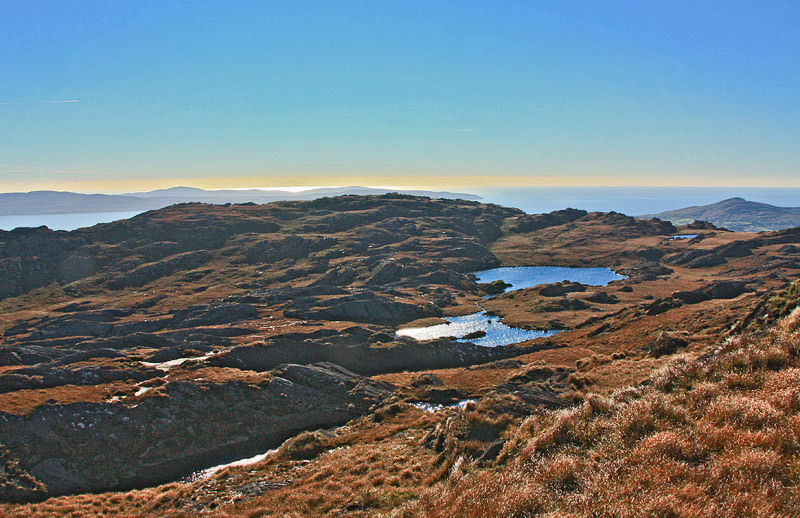 Picture from group : Glas Loughs near the bump of a summit. Picture: Glas Loughs near the bump of a summit. Lacks prominence or grace but is wild and has lake views. This rocky place is a bump the tail end of a ridge that comes from Hungry Hill. It can be reached from the green road that comes north from Rossmackowen. There is a little parking at V73923 47658 A or start on the main road.